God is the Creator and Ruler of the universe. He has eternally existed in three Persons, Who are co-equal: The Father, The Son, and The Holy Spirit. Man has been created in the spiritual image of God, to be like Him in character. He is the supreme object of God’s creation. Although man has tremendous potential for good, he is marred by an attitude of disobedience toward God called “sin”. This attitude separates man from God. Man was created to exist forever. He can live this existence separated from God through disobedience, or in union with God through faith and salvation. Heaven and Hell are the future places of existence destined for those who live in union with God (Heaven) and those who choose to remain separated from God (Hell). Jesus Christ is the Son of God. He is co-equal with the Father. Jesus lived a life free of sin and offered Himself as the perfect sacrifice for the sins of all men by dying on a cross. He arose from the dead after three days to demonstrate His victory over sin and death. He ascended into the glory of Heaven and is there now where he rules as the head over His Church. He will return to earth again to reign forever as the King of all kings and Lord of all lords. Salvation is a gift given to man by God. Man can never make up for his sin by self-improvement or good deeds. Only by trusting in Jesus Christ as God’s offer of forgiveness can man be saved from sin’s penalty. Eternal life begins the moment we receive Jesus Christ by faith. The Holy Spirit is the Spirit of God. He is also referred to in scripture as the Spirit of Jesus. He is co-equal with the Father and the Son. He works to make persons aware of their need for Jesus Christ. He lives in every Christian from the moment of salvation. He provides Christians with power for daily living, understanding of spiritual truth, and power for effective witnessing to others. The Christian is commanded to live under the Spirit’s control every day. The Bible is the written record of God’s revelation of Himself to man, coming to fulfillment in the person of Jesus Christ. The Bible was written by human authors under the supernatural guidance of the Holy Spirit. It is the perfect source of instruction for knowing God and living the Christian life. The Bible teaches us that it is God’s desire for every Christian to grow to full spiritual maturity. This means that the goal of Christian growth is activated in our lives through the working of the Holy Spirit. We also cultivate spiritual growth through such personal disciplines as: Bible study, prayer, fellowship with other Christians, and sharing Christ with those who don’t know Him. Growth in Christ-likeness is the surest evidence of our relationship with the Lord. Baptism is the way we confess Christ as an initiation into his Church. In Baptism, Christians are immersed in water, symbolizing Christ’s plunge into our world’s suffering to die and rise again for our salvation. This is the way he gave for us to identify ourselves as his disciples. Though Baptism is an act of saving faith, it does not and cannot save us – only Jesus does that! It’s an outward expression of an inward experience of faith. Signifies the sacrifice of body and blood Jesus lovingly made for us, (symbolized with bread and grape juice), and recalls his desire for all to receive him personally. Participating in the Lord’s Supper, we remember Christ’s radical commitment to us and reaffirm our commitment to him. While Baptism is done once, at the beginning of our Christian journey, the Lord’s Supper is repeated often throughout our life of Christian devotion.  Have a question about what we believe at Crossover Church? Get in touch with a person on our lead team directly by clicking the button below.